It was only created in 1990 and has been ravaged by civil war for much of its short history. Small wonder that it's the Middle East's poorest country. 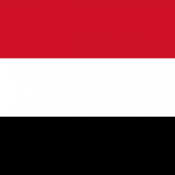 But what else do you know about Yemen? 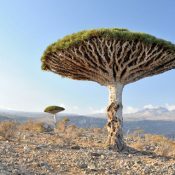 Dragon blood trees (Dracaena cinnabaris) on the Yemeni island of Socotra. 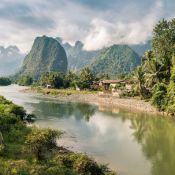 Nam Song river at Vang Vieng, a small town four hours' bus journey (150 km) north of the Laotian capital, Vientiane. 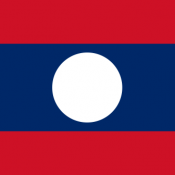 Historic "Land of a Million Elephants" and target of more tons of bomb per head than any other country ever, Laos has seen a lot in its time. What do you know about it? 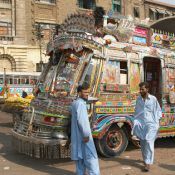 A typically brightly coloured bus in Karachi, Pakistan.